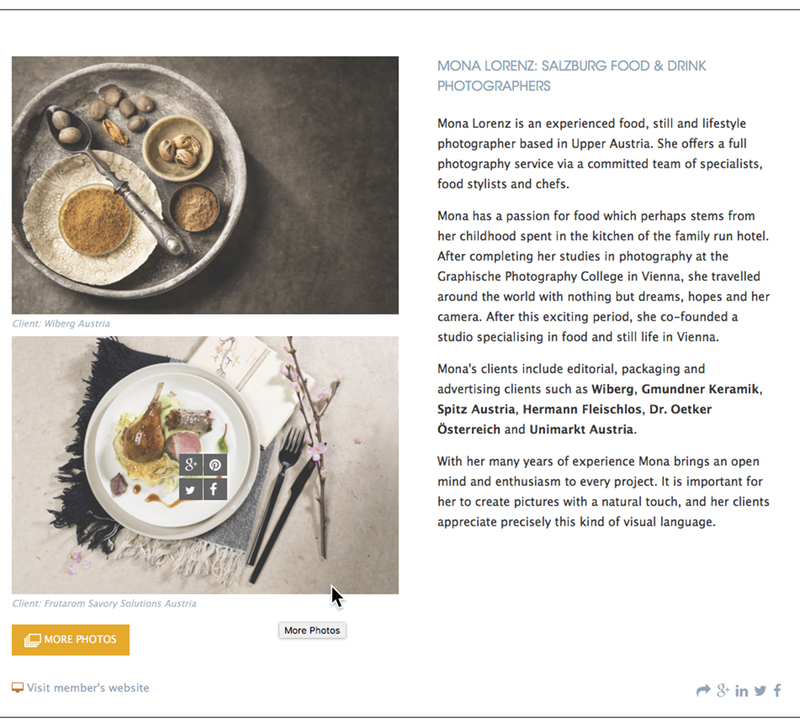 Mona Lorenz is an experienced food, still and lifestyle photographer based in Upper Austria. She offers a full photography service via a committed team of specialists, food stylists and chefs. Mona has a passion for food which perhaps stems from her childhood spent in the kitchen of the family run hotel. After completing her studies in photography at the Graphische Photography College in Vienna, she travelled around the world with nothing but dreams, hopes and her camera. After this exciting period, she co-founded a studio specialising in food and still life in Vienna. Mona's clients include editorial, packaging and advertising clients such as Wiberg, Gmundner Keramik, Spitz Austria, Hermann Fleischlos, Dr. Oetker Österreich and Unimarkt Austria. With her many years of experience Mona brings an open mind and enthusiasm to every project. It is important for her to create pictures with a natural touch, and her clients appreciate precisely this kind of visual language.